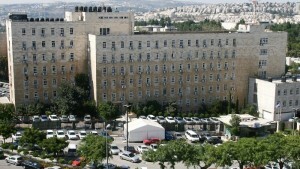 Israeli Prime Minister's Office (Hebrew: משרד ראש הממשלה‎) is the Israeli government office responsible for coordinating the work of all governmental ministry offices and assisting the Israeli Prime Minister in his daily work. The Prime Minister's Office is responsible for formulating the Israeli cabinet's policy, conducting its cabinet meetings, as well as responsible for the foreign diplomatic relations with countries around the world, and supervising and overseeing the implementation of the Cabinet's policy. In addition, it is in charge of other governmental bodies, which are directly under the Prime Minister responsibilities. Unlike many other countries, the Office of the Prime Minister of Israel does not serve as his residence. The official residence of the prime minister of Israel is in Beit Aghion, in Jerusalem's Rehavia neighborhood. Raw video: Israeli military acknowledged carrying out an airstrike on suspected nuclear reactor in Syria in 2007.